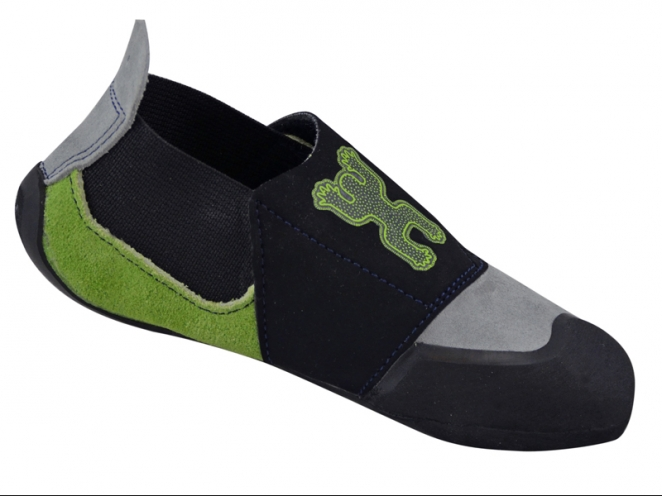 Climbing slipper designed for children climbing indoors and outdoors. Straight shape means foot remains in a natural position, giving optimum comfort. 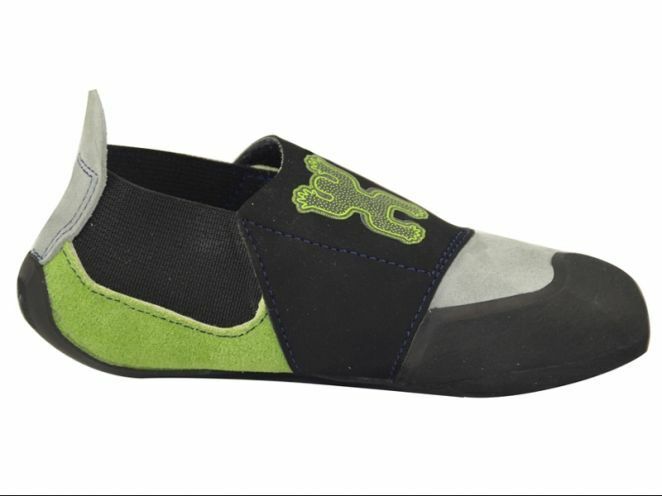 Easy to pull on/off and to tighten, thanks to a large opening with velcro strap and loop at heel. Leather upper for optimum comfort. NB: this model of slipper has a small size: choose 1 or 2 sizes more than your usual shoe size. 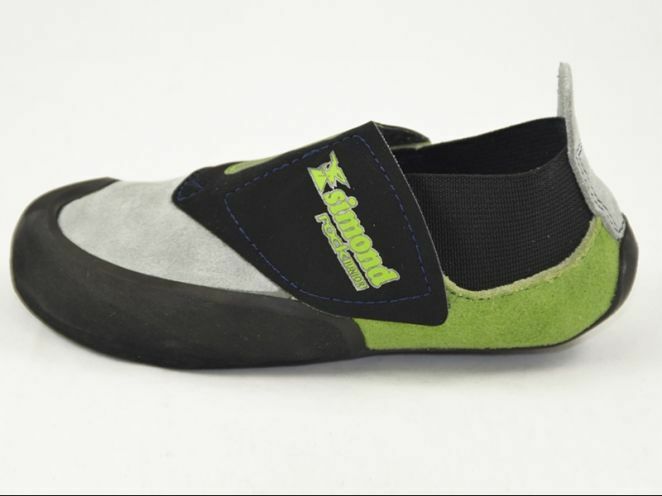 Elasticated heel allowing the child to keep his shoe longer, as his feet grow: one saves up to 2 sizes! 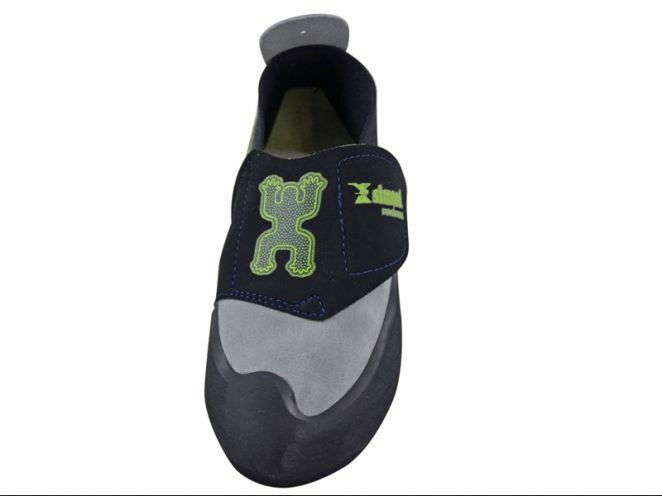 Special climbing rubber sole for optimum grip. Straight shape for optimum comfort. Suitable for all foot sizes.